An undergarment that looks like a corset with cups for the breasts. It may have plastic boning, but this will not reduce your waist like a corset does. 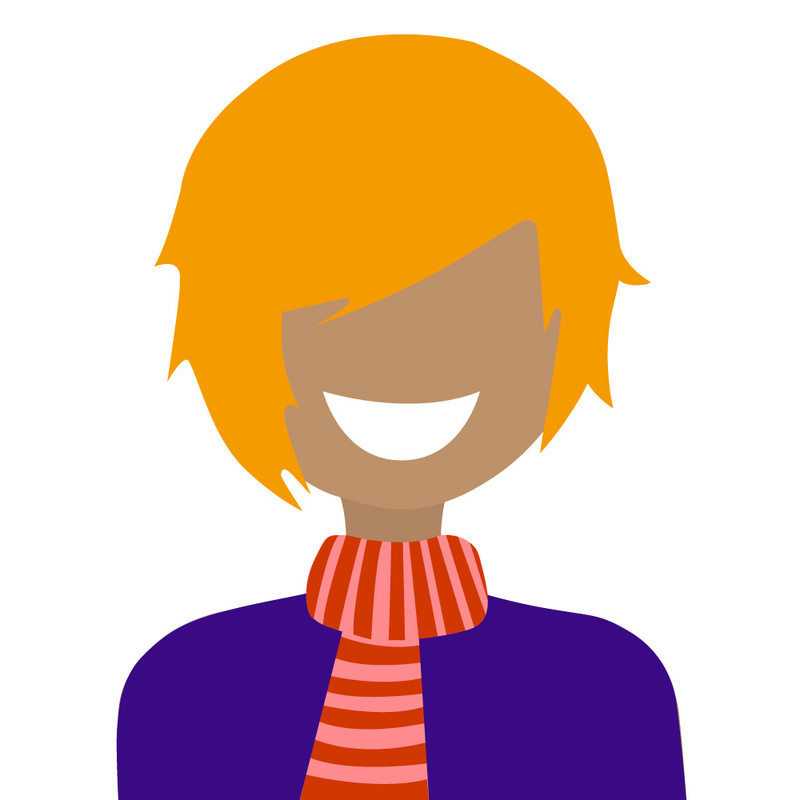 Basques are measured in clothing sizes or bra sizes. Think of it like a longer version of a bra or a more supportive camisole. Basques are usually measured in bra sizes as they have cups, but can also be measured in inches or clothing sizes. 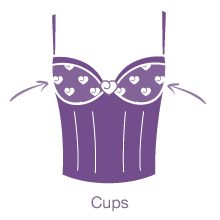 To measure for a basque, you should measure your bust or underbust accurately. If it is measured in inches, then you will need your underbust measurement. This is the same as measuring your underbust for a bra. You can also check this measurement against S/M/L etc. charts to make sure you've got the right size. A shorter garment that looks like a corset but can be worn as a top, over a dress or as an undergarment. It may have plastic boning or a steel front busk, but bustiers will not reduce your waist or change your shape. Bustiers are much like a longline bra in shape, and they smooth the shape of of the upper part of your torso without restriction. Bustiers are usually measured in clothing sizes, but you will still need to refer to the size chart for measurements as what one company will call a size 10 another will call a size 14. Outside of the catwalk, there is no such thing as a standard clothing size chart. To measure yourself for a bustier, you need to measure your bust, waist and hip and compare them against the size chart for your desired garment. Remember that bustiers are not designed to reduce your waist and you'll therefore have to think sensibly about whether the bustier will fit. If it is too small, it is likely to rip if you try to squeeze into it. If a bustier measures 34” 26” 34” and you measure 36” 27” 36”, you will be able to wear the bustier provided that it has back lacing and you are willing to leave a 2-inch gap at the top and the bottom of the lace-up panel and a 1-inch gap at the waist. If your bustier has hooks and eyes at the back, you will want to check with Customer Care to see if the hooks and eyes will provide enough extra width for the bustier to fit you. Remember to provide your own measurements to be sure that they can help you. Remember that a bustier will break or become damaged if you try to force it closed over measurements that are larger than it. The materials and construction of bustiers are not as strong as a corset and you should treat these as garments with no stretch. A form-shaping garment that incorporates metal bones. It can be worn as a top or an undergarment. Corsets are measured in inches and this dictates how many inches the corset measures around the waist when it is closed. 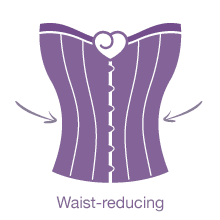 Corsets are designed to improve posture, reduce your waist and sometimes boost your bust. A corset is measured in inches relating to the waist measurement. If a corset is a size 26, the waist of the corset will measure 26 inches when the back is fully closed. As corsets are designed to reduce the waist, you will want to purchase a corset that is smaller in the waist than you are. 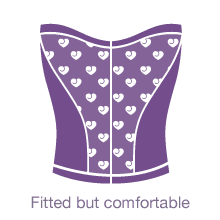 For full instructions and videos on how to fit yourself for a corset, see our Fitting Guide for Corsets.